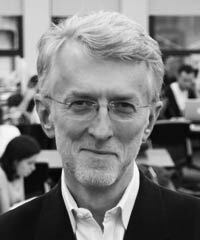 Jeff Jarvis is the author of Public Parts: How Sharing in the Digital Age Improves the Way We Work and Live and What Would Google Do?, as well as the Kindle Single “Gutenberg the Geek.” He directs the Tow-Knight Center for Entrepreneurial Journalism at the City University of New York Graduate School of Journalism. Jarvis blogs at www.BuzzMachine.com and is cohost of the podcast This Week in Google. Previously, he was Creator and Founding Editor of Entertainment Weekly; TV Critic for TV Guide and People; President of www.Advance.net, the online arm of Advance Publications; and Sunday Editor of the New York Daily News.